Haier 4.5 cu. 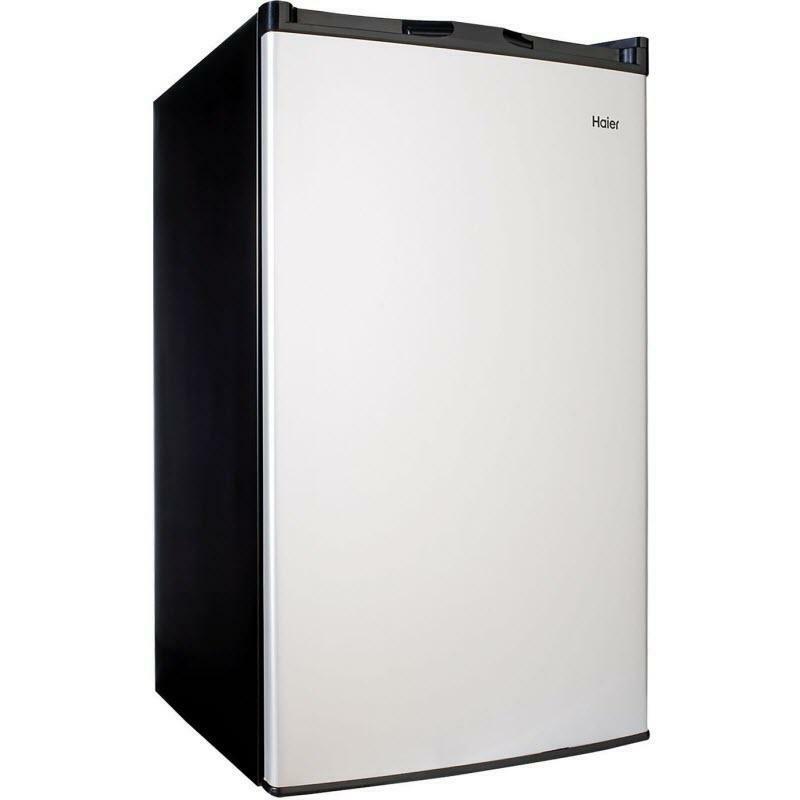 ft. compact refrigerator is ideal for any space where you want simple access to cold drinks and food. Perfect for room, office or even the dorm. 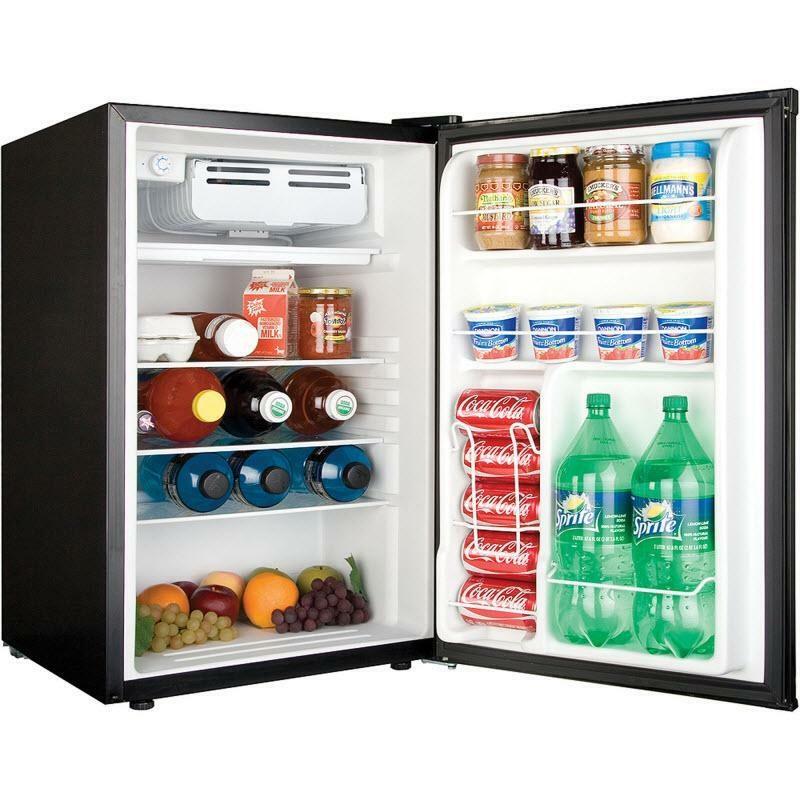 Featuring two adjustable shelves, a flat back design for flush-wall installation, four distinct storage areas with 2-liter bottles storage, can dispenser and a half-width freezer section to hold frozen foods and ice. Total 4.5 cu. ft. / 0.13 cu. m.